The notice has been published on NEA’s official website as well as on Lok Sewa Aayog’s website. Also, this notice is for various advertisement number of Officer Level for open and inclusive competition. The advertisement was published on 1st Mangsir 2074 . 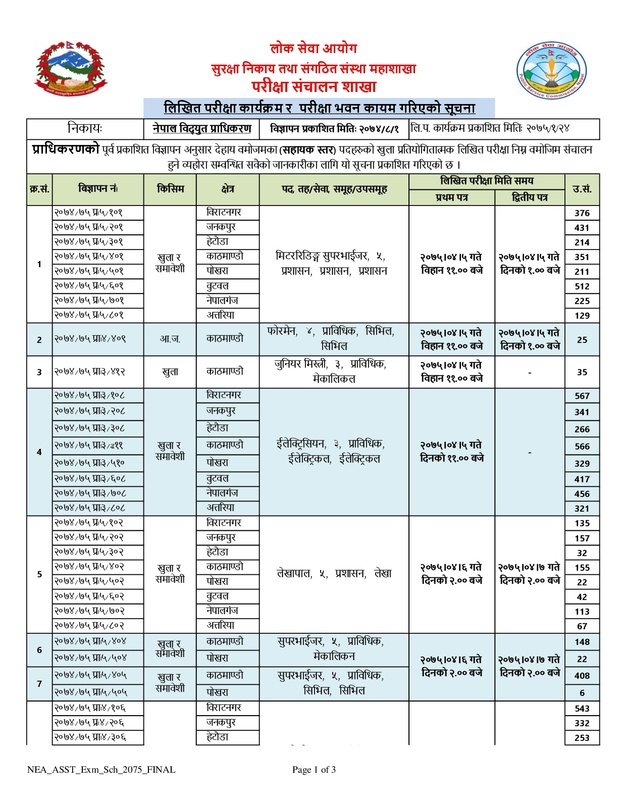 ✭ Are you facing trouble while getting entrance card for Nepal Bidhut Pradhikaran [NEA]? ⇒ Entrance card will not be provided at Exam Centers. 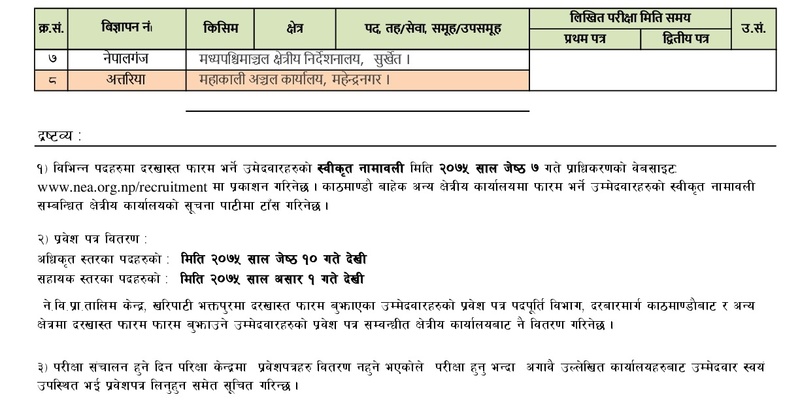 So, Candidates are requested to get their entrance card from Regional offices of Nepal Bidhut Pradhikaran [NEA]. For an example; If you have submitted your application form Nepal Bidhut Pradhikaran [NEA] training center Bhaktpur, then you will get your entrance card from Nepal Bidhut Pradhikaran’s employment division at Darbar Marg Kathmandu. 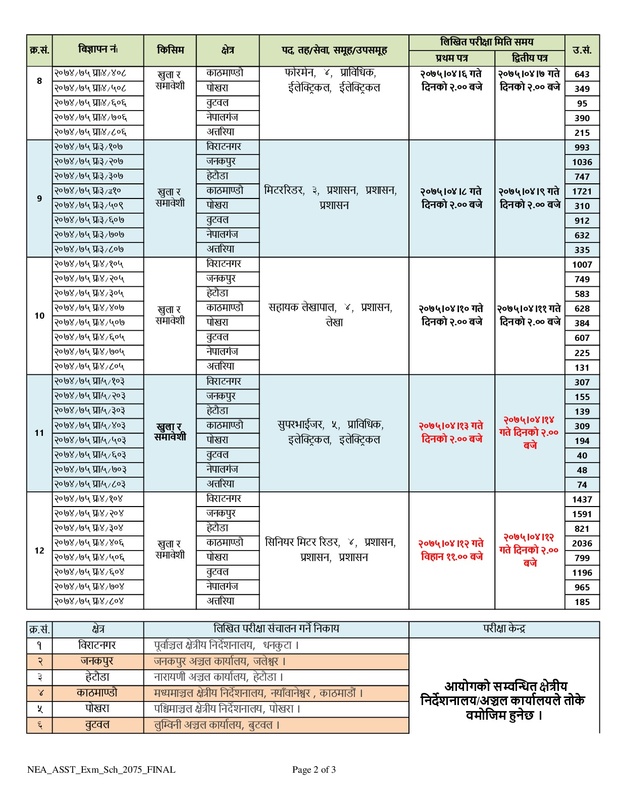 Download in PDF - Exam Schedule and Exam Centers Of Nepal Bidhut Pradhikaran [NEA] 2075 from the official website of NEA. 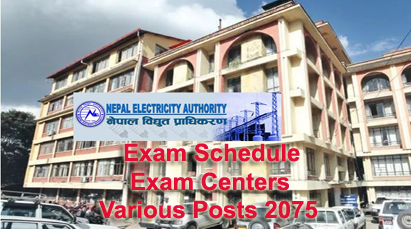 0 Response to "Exam Schedule | Exam Centers | Nepal Bidhut Pradhikaran [NEA] | 2075"